St. Simons Island Antique Show, May 4-6, at Strickland Auditorium at Epworth by the Sea on St. Simons Island, Ga. will feature 30 nationally acclaimed antiques dealers plus international dealers from London and Paris. 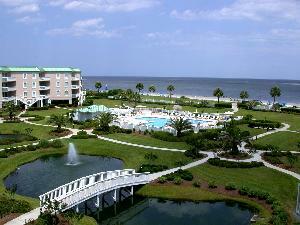 ResortQuest offers St Simons vacation rentals to accommodate those attending show. Fine antiques, including furniture, rugs, china, crystal, paintings and sterling will be on display at the St. Simons Island Antique Show, May 4-6, at Strickland Auditorium at Epworth by the Sea on St Simons Island, Ga. Sponsored by the Coastal Symphony of Georgia's Symphony Society, this debut event will feature 30 nationally acclaimed antiques dealers plus international dealers from London and Paris. Showcased will be extraordinary and beautiful one-of-a-kind items from the 18th and 19th centuries. Admission to the show is $10 and tickets can be purchased at the door. Show hours are 10 a.m. - 6 p.m. on Friday and Saturday, and noon - 5 p.m. on Sunday. Located in the heart of The Village and within walking distance to the festival site, ResortQuest St. Simons Island offers luxury rental homes and villas that make for a beautiful Georgia vacation. Enjoy mild winter temperatures, ocean breezes, unique shopping and dining and a multitude of outdoor activities for the entire family. Stay in a quaint cottage near The Village or be right on the beach in an ocean-view condo; whatever you choose, ResortQuest St. Simons Island is the perfect choice for your visit to the Golden Isles of Georgia. 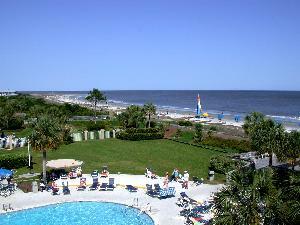 For more information about ResortQuest St Simons rentals call toll-free 1-888-315-6060. ResortQuest, one of the nation's leading vacation rental hospitality and resort real estate companies, provides a one-stop resource in North America's premier resort destinations, ResortQuest.com. ResortQuest is the largest marketer and management company of vacation condominiums and leading vacation rentals in the U.S. and Canada, based on a portfolio of nearly 17,000 properties, from Hilton Head rentals to a Destin resort, with a combined real estate value estimated at approximately $7 billion. ResortQuest Real Estate is one of the nation's leading real estate companies focusing exclusively on resort properties, offering superior brokerage services in the country's premier beach, ski and golf destinations. ResortQuest employs more than 4,000 people and is owned and operated by Gaylord Entertainment Co. (NYSE: GET), one of the largest and fastest growing companies in the hospitality and entertainment industries, based in Nashville, Tenn., that also owns and operates Gaylord Hotels and the Grand Ole Opry. For more information, visit ResortQuest.com or GaylordEntertainment.com.